Yoichi Taniguchi and Zak Schmidt personally selected a limited number of high quality Gosanke to participate in an exclusive grow-out event held at Taniguchi Koi Farm in Hiroshima, Japan. These hand selected koi can be purchased and boarded with the breeder through the winter months in his warm greenhouses. 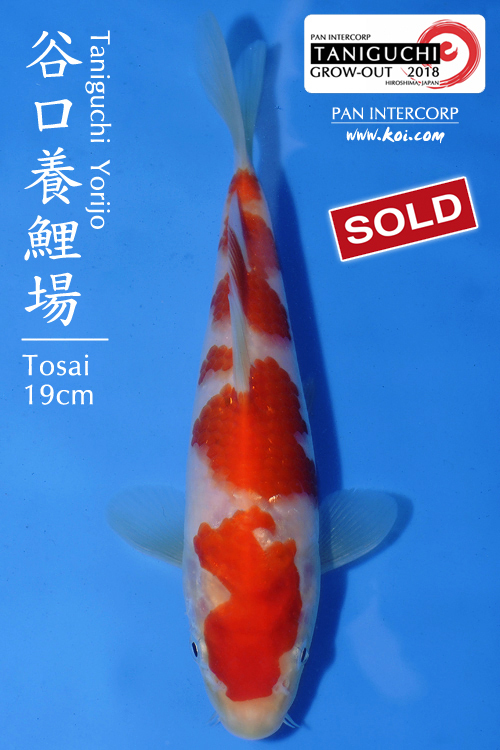 The Taniguchi Grow-out presents an opportunity to acquire a high quality koi at a fraction of the cost of a Jumbo Tosai or a Nisai. For those of us who live in colder climates, this is a great way to enjoy koi during the winter… while getting a jump on the coming spring season.